Using only the most advanced Cosmeceutical (‘Cosmetic’ & ‘Pharmaceutical’) ranges, we ensure that the products we use have clinical based evidence to help bring about visible changes to the skin. When applied topically, our cosmeceutical products provide deeper penetration into the skin, allowing for vital collagen, elastin and cellular activity to take place. 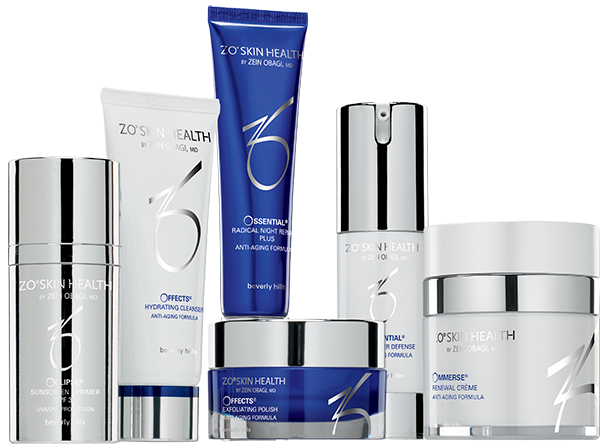 Under the guidance of Dr. Zein Obagi, ZO Skin Health, Inc. has developed a wide spectrum of therapeutic treatments for everyone regardless on skin condition, age, gender or ethnicity. Based on the latest advances in skin therapy technology – biotechnology complexes, plant stem cell components, and multi-therapy delivery systems – these products and programs have been optimized for your specific needs. Daily Skincare: Effective daily solutions to help promote cellular function and achieve healthier looking skin. Maintenance: Designed to prevent reoccurrence of persistent skin problems keeping skin strong and healthy while looking and acting younger. Prevention: Minimise UV damage, prevent DNA damage and protect skin from environmental aggressors to improve overall skin health. 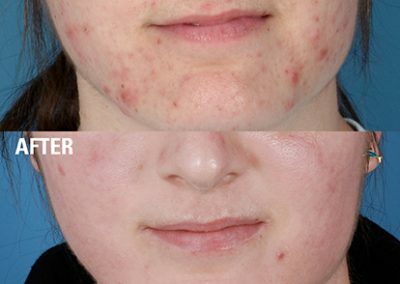 Therapeutic: Treatments using prescribed products and unique protocols to correct medical skin conditions. The ZO skin care system includes a number of new and effective formulations that utilise a multimodal treatment approach to skin rejuvenation (combining agents that act via different mechanisms of action). The key therapeutic ingredient is retinol (vitamin A), which is combined with antioxidants, anti-inflammatory agents, peptides, growth factor serums and skin brighteners. Retinol is one of the most powerful topical anti-aging agents available today and recent pharmaceutical developments have led to stabilisation of the retinol molecule with a fine molecular-coating (micro encapsulation), which prevents oxidation and enhances absorption through the epidermis, the result is increased efficacy and less irritation. Retinoids are regulators of cellular metabolism. They stimulate skin cell turn-over (cell proliferation and exfoliation of the epidermis), promote collagen production and protect against free radicals. High-dose retinol (1% or more) is usually effective in providing significant improvement to photo-damaged skin, pigmentation, skin elasticity, skin texture and skin tone within 60-90 days. Julie Scott was invited to be a member of the ZO skin faculty in recognition of her therapeutic treatment of skin conditions. 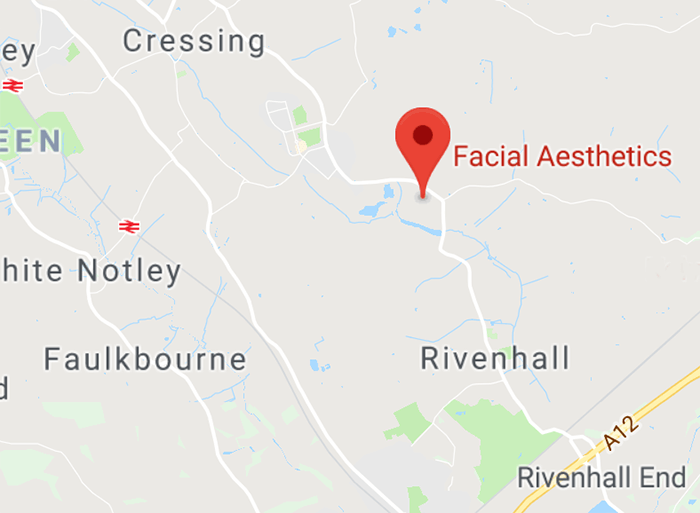 We are recognised as a leading Skin Care Specialists in Essex. We offer some of the best Anti-Ageing treatments in Essex. At Facial Aesthetics we find that the retinol-based formulations allow us to restore skin health for many of our patients. 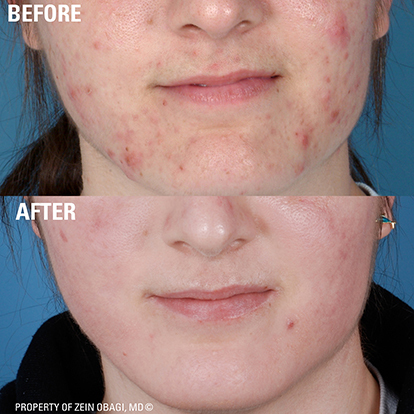 The ZO product range is effective and also compliments our non-surgical treatments to provide longer lasting results. Hydrafirm: Eye Brightening Repair Crème for potent restoration of the periorbital skin and improvement of dark circles. ZO 3-Step Stimulation Peel: A medium-strength skin peel (10% TCA combined with salicylic, lactic acid and 6% retinol stimulation crème), with minimum downtime. To read some articles about the product please click the below links. To read some articles about the product please click the below link. Below are selected Frequently Asked Questions about ZO Skincare. How do you determine what Skin Care I need? 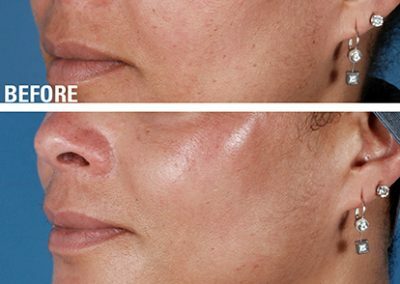 At Facial Aesthetics we assess your skin to ascertain the correct skin care programme to resolve your skin issues. This is undertaken during your complimentary Visia Skin Analysis helping us to identify and recommended the right products for your skin complaint, and give guidance and advice with your skin care regime to help maintain, restore and heal your skin health. What are the benefits of using Cosmeceutical Skincare? A cosmeceutical product has higher concentrations of active ingredients. They improve skin quality and work in synergy with in-clinic treatments for prolonged and boosted results. At Facial Aesthetics we specialise in anti-ageing skincare treatments and prescribe the correct cosmeceutical product for your individual needs. How often should I use Cosmeceutical Skincare? The use of cosmeceutical skincare products is not a beauty regime, but a change in life-style to help maintain and protect the skins health. Click Here to read more FAQ’s about the ZO® Skin-Care used at Facial Aesthetics, please remember we can answer more detailed questions at a complimentary consultation, over the telephone with one of our clinical experts or by completing the below contact form.